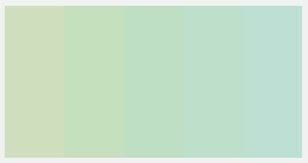 Favorite Spring Color: Mint Green - Janalyn Hiramatsu - Blog. Hawaii Makeup Artist and Full Time Beauty Addict! Mint green has got to be one of my favorite colors of all time, and what better time to wear mint green than Springtime!! I love it because it has sort of a vintage feel and its not too vibrant a color that it will take away from anything else your wearing. You can wear it as a nail polish, eye color, on your shoes, bags, jewelry, or even hair accessory. Here are some of my mint green findings!